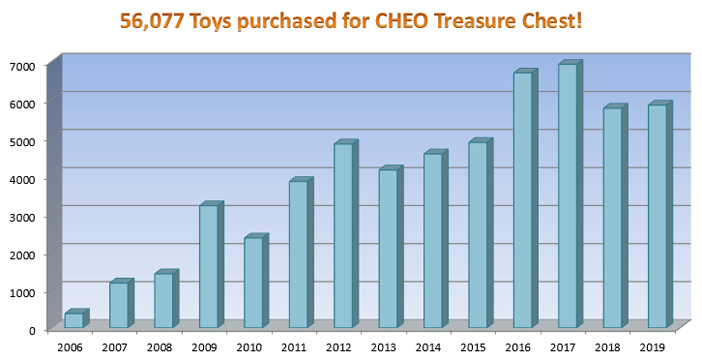 CHEO TREASURE CHEST (click here for photo) Located in the Gary Cardiff Wing of the Children’s Hospital of Eastern Ontario, in what is known as the Medical Day Unit, the Treasure Chest allows children who have just had blood work done to pick a small gift as a reward. This program benefits up to 30 – 40 children on any given day. During the course of treatment and the related follow-up, it is not uncommon for a child to have to give blood samples in the hundreds of times. 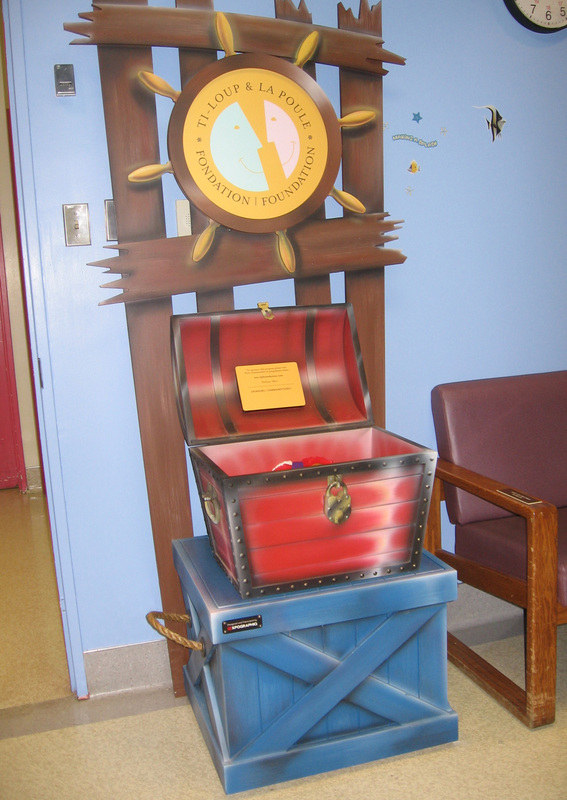 We would like to express our sincerest thanks to local design company Expographiq, who used their creative expertise to design and donate the treasure chest. If you or your organization would like to contribute to this or any other of our programs please click here.